I have a number of ailments that I have been dealing with for years. I’ve had tendonitis in both shoulders for approximately 3+ years, knee aches, mild to moderate psoriasis that comes and goes for about 10 years, lower back ache, headahes, etc. From the advice of my sister and friends, I tried acupuncture. To date, I’ve had 6 total acupuncure treatments over 2 1/2 weeks, and I immediately felt results. I felt decreased pain in my shoulders after the first treatment, and it continued to decrease with each visit. My backache went away after one of the treatments where the Doctor focused on that area. Most importantly, starting with my 3rd acupuncture treatment, the Doctor started treatment on the specific psoriasis areas, and it started to heal with visible results the following day. The Doctor even took pictures to show progress. I am amazed at how effective this was, and I plan to schedule a few more visits and may start the herbal medicine treatment to prevent some of my issues from reoccurring. Lastly, the Doctor and the staff are extremely friendly, and I felt very comfortable with them. I recommend this Doctor to anyone who has prolonged health issues that haven’t resolved with traditional medical treatment. I didn’t know what the outcome would be. I had gone to my doctor and he pre scribed a nasal spray, but after I had been taking it for while he told me that he didn’t want to prescribe it to me anymore. Well, the nasal sparay that is commonly prescribed for my type of Sinusitis is very habit forming. My doctor didn’t think he should keep prescribing it for me because of the likelyfood that I would become addicted. What I got from it is that there was no treatment available that would help me without using the spray or medicine that is addictive. I didn’t have any energy at all. I couldn’t eat. I couldn’t sleep. I used to try prop myself up in a way where I could sleep sitting up. Bevause I sleep to lie flat, my sinuses would continually drain fluid, choking me. Sleep was impossible. Since I couldn’t eat or sleep I didn’t have any energy. I couldn’t go to workor anything. Normally I’am very energetic . I’m a dancer. I’ve danced ballet since I was a teenager. I still take lesson and practice three times a week. Since my previous doctor had discontinued my treatment. I was left to basically treat myself. I was experimenting with OTC sinuss medication – trying one after another, just experimenting, really to see if something, anything would work. It was horr4ible, and I was getting desperate. I’d take one thing and my head would feel really funky – I don’t know the word to describe this. Anyway one day I was a sign that read herbs and acupuncture and just walked in hoping that I could find some relief. This whole experience has worked out so well, I really feel like I was led here – if you know what I mean. After examinating me, Dr. Chong seemed to exactly what to do. For the first two weeks, I came in four days each week. Then three, then two, now IU’m down to once a week. Altogether it’s been ten weeks. It’s been wonderful. No more symptoms; my life is back to normal. After the treatment I feel so relaxed and balanced. When I weas at myworst, I ‘d be propped up on pillows, barley able to breath and it reminded me of when I was a child and my grandmother passed away. I never want to feel that was again. I have been having headaches for a few years; in the last few month I have had them everyday. My visit at the doctor’s office and taking prescription / pharmaceutical medicines did not bring any results. 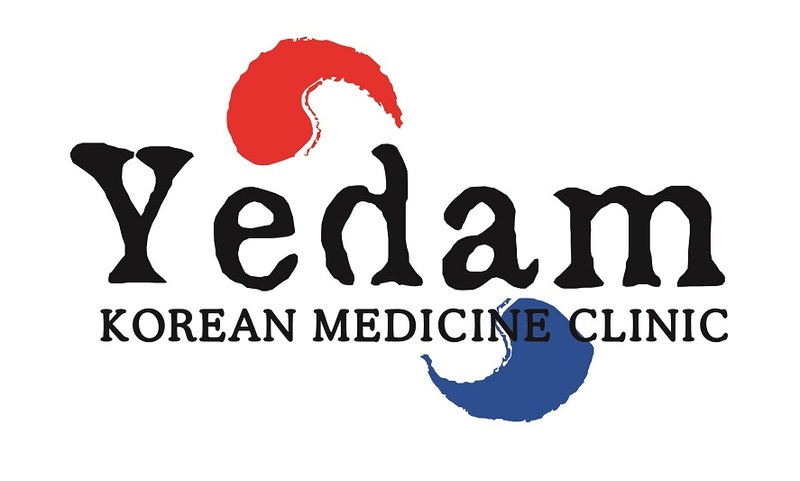 I decided then to go to the Yedam Clinic. Dr. Puramo Chong. His acupuncture treatment and natural herbs helped me already after few days. My headaches were gone, and I could normally function during the day. I used to have lower back pain for more than 6 years. Sitting still or standing up for a long time was a very hard challenge for me. However, my back pain improved so much after getting treatments from Dr.Chong. I got my treatment once every two weeks. After my third treatment, I went back to Dr.Chong after three weeks for forth treatment and a month later for fifth and two and a half month later for my last treatment. I could instantly feel the improvements after each treatments. Now my lower back feels much smoother and my back doesn’t bother me when sitting still or standing up for a long time. I have been coming here since the year of 2014! My knee used to hurt, and a lower back pain. His treatment really works and worked. His advices and generosity help calm the visit 🙂 if you are looking for ways to get cure naturally from less medicine, recommend this place for sure!! This is a wonderful clinic. I no longer take pain pills for back pain after receiving treatment here. I recommend it to family and friends. I have been treated by both doctors Puramo Chong and Hoyoon Chong. I have a protruted disk and painful sciatica issues. There was a point I was bent forward and could not stand straight. These doctors are truly amazing. They make the pain go away in 10 minutes!!! Before finding Yedam Well Being Center, I was seeing another doctor, every week for six months. Now, I go to see them probably at around 6 times per year. Two thumbs up! I was always a little skeptical about getting acupuncture but my mother, who is a second generation korean, has done it many times before and said it works very well with relieving pain and inflammation. I sprained my ankle from a skateboarding injury so I decided to give yedam well being center a try. I called in and scheduled an appointment. As I made my way into the office, my ankle had already been sprained for about 2 days. Keep in mind the range of motion in my foot was about 40% there and very painful to walk on. After a 5 minute wait in their waiting room, I was called in. Doctor Hoyoon Chong examined my ankle and asked me a few questions and then I laid down on their medical bed. He began the acupuncture which to my surprise, was not as painful as I expected. Sure, it felt like a slight prick but nothing that was too overwhelming. I laid down with the needles in me for about 25 minutes. Within that time I fell asleep, the acupuncture seemed to have put me at a very relaxed state. When the doctor came back in he carefully took each needle out and asked me to stand up. I was still skeptical at this point because I was not sure if it would hurt to stand on my ankle. But yet again to my surprise, the pain on my ankle was about 75% gone. Range of motion in my foot was 75% there! I was amazed. This was definitely a pleasant experience for me. Well, I left feeling very happy and walked normally to my car. Although there was still some pain left, it was bearable to walk on. I highly suggest trying this place out if you are interested in alternative ways of healing injuries. This doctor is amazing at acupuncture and quickened the healing process of my sprained ankle. Forever thankful! I’m so glad I started coming to Yedam on my friend’s recommendation. Dr. Hoyoon Chong is very knowledgeable, caring, thorough, and answers any questions I have about acupuncture. I’ve already started seeing an improvement in my physical wellbeing after a couple weeks. I highly recommend Yedam to others. Dr. Chong isn’t just knowledgable but very generous. Gives great and genuine advice. For acupuncture, this is my go-to! Would highly recommend anyone.